Facing South has published our essay on Mrs. Laura Dixie. Known as “the Mother of the Civil Rights Movement,” in Tallahassee, Florida, Laura Dixie was one of the most important organizers in the rise of the modern civil rights movement in the Deep South in the 1950s. She was a lead organizer in the historic Tallahassee Bus Boycott in 1956; played a pivotal role in the FAMU sit-in movement in the 1960s; was responsible for a massive voter registration campaign in the Panhandle in the 1970s; marched against the Ku Klux Klan in Forsyth, Georgia in the 1980s; was a founding president of her hospital workers union–and even all of these listed activities barely scratches the surface of the importance of her life. For the Proctor Program, Mrs. Dixie has hosted us for barbecues, fish-fries and stop-overs during our annual Mississippi Freedom Project field trips–as well as other events for a decade. SPOHP will continue to honor the memory of this amazing person who has done so much for the nation as well as SPOHP. Read our essay published in Facing South titled “Laura Dixie: Remembering a ‘Mother of the Movement'” here now! Why after 50 years are the USS Liberty survivors still seeking justice? The BBC documentary USS Liberty Dead in the Water follows the story of the attack moment by moment. 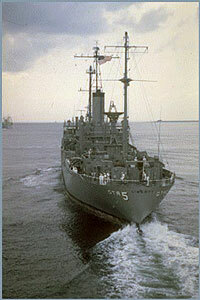 The crew of the USS Liberty is the most decorated crew since World War II. It is among the most decorated crews for a single engagement in the entire history of the United States Navy. Yet, the attack has never received a full investigation, as required by law. Learn more about the survivors and sign their electronic petition on the Honor USS Liberty Vets Survivors Website here. Veteran CIA officer Ray McGovern’s article Not Remembering the USS Liberty addresses the cover-up of the Israeli attack of the USS Liberty. The Samuel Proctor Oral History Program had the privilege of getting to know Frank Towers as one of our narrators in our valuable Veterans History Project. Over the years we came to know him as a leader for his fellow veterans, especially WWII veterans. We always had a deep respect for his heroism in WWII, and we came to regard him as a valuable friend to the program. We have three interviews housed in the SPOHP archives from Frank Towers, and have filmed him in the community speaking at events. This 25-minute video is an oral history tribute to our own Frank Towers using segments of the two interviews that were filmed. To Frank we say this: we know we join countless others whose lives you have touched, as well as lives you have literally saved, to say you will be sorely missed. Ms. Margaret Block, lifelong civil rights activist, teacher, and friend, passed away in June 2015. Her efforts to organize, agitate, and educate for social justice inspired men and women across the country to work together for freedom in America, including students of the Samuel Proctor Oral History Program’s Mississippi Freedom Project, whom she led for many years. Margaret worked as a field secretary for the Student Nonviolent Coordinating Committee with her brother, Sam Block, in the 1960s, as well as the Black Panthers in California, where she taught school for more than three decades. When she recently returned to the Delta to care for her mother, Ms. Block met SPOHP Director Dr. Paul Ortiz and became involved with the Mississippi Freedom Project, leading groups of students each year to historical sites across the Delta and teaching civil rights history using lectures, poetry, and song. Guided by her directional insight, students visited the home of Amzie Moore, the Taborian Hospital, the Fannie Lou Hamer Memorial, and other sites crucial to grassroots organizing for civil rights in the Delta. Margaret Block was a great woman, an inspiration to our students, a freedom fighter who commanded respect all throughout the Mississippi Delta (and beyond!) as she taught countless people the traditions of the Student Nonviolent Coordinating Committee! Margaret Block, presente! The Samuel Proctor Oral History Program at the University of Florida will do all we possibly can to live the ethics Margaret taught us and to keep her memory alive. In honor of her revolutionary legacy and dedication to civil rights, SPOHP invites you to share lessons and memories from Margaret using the form below. Comments will be updated daily. I’m outspoken, and if I see something wrong, I’m going to say something about it, because that’s my nature. You can’t sit up and see something wrong and not do anything about it, but I don’t consider myself a leader. I’m just a citizen that’s doing what you’re supposed to do, is being a citizen. Vote or die will always be my battle cry. And they cried and sang this sad song. She was an attorney in D.C.
She asked Hiram Revels if you can vote, then why can’t I? Vote or die was always Mary Ann’s battle cry. He got in the battle early on. And made him ride on the back of a garbage truck. We will all be free. The ballot or the bullet. Because freedom was his desire. She fought for rights in Nashville, Tennessee. And said if you vote, it’ll set us free. Vote or die was Rev. J. D. Story’s battle cry. The vote to him was crucial and dear. Vote or die was Larry Rubin’s battle cry. But they locked him up in Holly Springs. And told the Judge, if you can vote, then why not every man. When he went to Greenwood they beat him up and threw him in jail. And he turned Greenwood upside down. Vote or die was Jimmy Travis’ battle cry. The Klan thought that he was dead. She would vote or die. She went to Ruleville and took her stand. And she would always sing this little light of mine. “Vote or Die” copyright © Margaret Block, all rights reserved. Images from the Samuel Proctor Oral History Program and Independent Florida Alligator, taken by Alex Catalano, January 20, 2012. Local civil rights leader Reverend Thomas A. Wright died Tuesday. He was 94. Reverend Wright was the pastor of Mount Carmel Baptist Church in Gainesville. Read more from The Gainesville Sun, article by . A native of Chile, Dr. Hernán Vera, Professor Emeritus of Sociology, passed away last week. He was a prolific scholar in research spanning a range of topics, including race and ethnic relations and sociology of knowledge. A native of Chile, he received his PhD in Sociology from the University of Kansas in 1974. His co-authored books included, Liberation Sociology, White Racism: The Basics, Screen Saviors: Hollywood Fictions of Whiteness, The Agony of Education: Black Students at a White University, and Handbook of the Sociology of Racial and Ethnic Relations. Hernán was also a very active affiliate faculty member of the Center for Latin American Studies. Late in his career, he taught the Center’s introductory Latin American Studies course. His passion for Latin America was infectious, as he attracted large numbers of students to the course. Dr. Vera was interviewed for the Samuel Proctor Oral History Program’s United Faculty of Florida collection in 2009. The following excerpt is from a draft of his oral history transcript draft, UFF-007, and accompanying biography, written by interviewer Diana Gonzalez-Tennant. Dr. Vera was born on February 16, 1937 in Santiago, Chile. He attended Colegió San Jorge, where he learned English and French. This school was owned and run by the fathers of the Holy Cross of Notre Dame, Indiana. The school was a progressive one, and he was exposed to a variety of academics as well as extracurricular activities. He graduated in 1954 and went to law school at the Universidad de Chile, and became a lawyer in 1962. He worked for the Banco de Chile for some time, the largest bank in Chile. After working for some time in Chile, Vera was invited to teach in the Department of Government and International Studies at the University of Notre Dame in the fall of 1968. While in the U.S., he applied for a fellowship and worked on his PhD in sociology. On September 11, 1973, right about the time that he was finishing his PhD, Pinochet staged a military coup in Chile. Dr. Vera was in the US at the time, and he and his wife Maria Inez Concha Gutierrez were advised by their families remaining in Chile that they should stay in the United States. Dr. Vera emphasizes, in his interview, the surprising brutality of the Pinochet government in repressing dissenting voices within Chile. Dr. Vera arrived at the University of Florida in 1974 as an Assistant Professor in Sociology. Five years later, he came up for tenure and was denied. The following year he came up for tenure again, and received it. During the second round, however, he was informed by one of the Associate Deans that the Chair of the Sociology Department who denied him tenure the previous year had personally disliked Dr. Vera, and for that reason denied him tenure. Vera joined the United Faculty of Florida union when it was first formed in 1976. He offers a variety of reasons for joining the union; one of the primary reasons he offers is that it was an act of solidarity. Another reason he offers is that discrimination, expressed through drastically varying pay scales, occurs often and is rampant. He states that when he became a full, tenured professor, he was paid $4,000 less than the least-paid Assistant Professor in his department. For this and other reasons, he strongly believes that the rights of workers, if even existent, without a union are abused far more than the rights of those with a union. Specifically, he feels that the union could fight to defend minorities, and was one of the only groups that did help minorities. He became president of the union for at least two years and had very memorable experiences as UFF President. Specifically, one of the most memorable was on February 16, 1985, when he received a phone call from a journalist asking about then-UF President Marshall Criser and his involvement in silencing professors in the Chamber of Commerce. This scandal, eventually called “Chambergate”, was an involved attempt to silence professors’ voices and essentially eliminate academic freedom. Eventually it also led into a conference, held at the UF Law School, on academic freedom. Dr. Vera then leads into discussing the McCarthy Era and its effects on UF. More specifically, he talks about the Johns Committee which investigated homosexuality in the university system under the guise of eliminating Communists from the University. Dr. Vera presents these three instances of silencing of individuals who think differently—in Chile by Pinochet, at UF during Chambergate, and the John’s Committee—as important, related events in his life. His is a fascinating perspective on how what he termed the ‘Genocide’ of dissenting voices in Chile, is not a far cry from the destruction of Academician’s careers at UF through events like Chambergate and the John’s Committee. It is important to note that Dr. Hernan Vera is an accomplished Sociologist and his perspective on structural discrimination is highly informed by his training. Other important aspects of note are that the interviewer and interviewee both identified as hispanic/latino/a, their specific roles during the interview—Dr. Vera as retired male Professor and the interviewer as female Graduate Student—and the research focus on the union, to some degree, all shaped and crafted the interview into a history and comparative of silencing. I joined the union when the union began to exist in 1976. I didn’t know much about what unions were about in the United States, I considered myself more of a conservative-leaning scholar than anything else. But it was, as I saw it, an act of solidarity. It was something you did with your colleagues, for your colleagues . . . If you don’t have a union, or you don’t join a union, you have no rights to speak of. Photo from Florida: Magazine of The Gator Nation. To access this and other interviews, contact SPOHP, call the offices at (352) 392-7168, and connect with us online today. Dr. Block’s life and work at the University of Florida is remembered in the Gainesville Sun. His oral histories at SPOHP archives are in GHS 062 (1971) and UF 346 (2014). Joseph “Joel” Marcus Buchanan, a longtime educator and local legend for his work in preserving black history in Gainesville, died Sunday at UF Health Shands Hospital after going into cardiac arrest. He was 65.